December 16, 2012 By Paula 127 Comments This post may contain affiliate links. Hasn’t this year been an interesting one for us affiliates? Google definitely has been doing a lot of damage and I know many of you were affected from the number of emails we received. We’ve always said that this is a tough business and Google are doing their best to make it even tougher. So if you are feeling the pinch then the one thing we can recommend is for you to change your thoughts. Your thoughts become your life so changing your thoughts is key to improving your life and bringing more abundance in. I know that might sound trivial particularly if you are experiencing financial difficulties at the moment but it really is the answer. We knew we had to change our thoughts. It’s too easy to get sucked in to the doom and gloom lately and we didn’t want to go there. Neither of us watch the news. I haven’t personally watched the news for a few years now and really, I haven’t missed a thing. If anything really important happens then someone is bound to tell me. We also both avoid being around negative people. You know the types, you only have to be around them for 5 minutes and you end up feeling as depressed as they are. They love to tell you how bad everything is going and why it’s all the governments fault or big business or whatever else. We’ve also started to read two amazing books. One is called The Power and the other is The Magic. They were both written by Rhonda Byrne, the author of The Secret. Now I must admit, although I liked The Secret (both the book and the movie) I didn’t think that it really went into enough detail. Rhonda Byrne must have thought so as well because she did an excellent job of explaining it all in her other two books. These two books have literally become my bibles over the past few weeks. They are amazing! The Magic includes a 28 day plan and we both have been going through each day and following on. We’ve been reading these two books over the past couple of weeks and applying the concepts in both of them and it is amazing how it works. Let’s give you an example of how well it has worked so far. As some of you might know, in the past we had a wholesale jewellery business. It has been closed for quite some time now but we still had an excess of stock sitting in Wanda’s garage. We knew we had to sell it because Wanda wanted her garage back and with Christmas coming up this seemed like a good time. We had tried weekend markets before but never had much success. But we thought we would give it another go at a Christmas market in our area. Now normally, we don’t like doing these markets – it’s a long day and usually boring and we don’t make that much for the amount of work involved. Those were our thoughts about them. So if our thoughts create our life, then obviously those thoughts weren’t ever going to create a favorable outcome for us selling at any market. This time however, we decided that things were going to be different. We had been following the concepts in The Magic and were in a much better frame of mind about it. In fact, I was at the point where I was really looking forward to it. That was truly amazing because I had never looked forward to doing a market ever. When I was a kid my parents had an antique business and they would do weekend markets on a regular basis. I hated them so to look forward to doing this market (and it was a two day one to boot) was pretty amazing for me. The day started and we had our first sale. Okay, it was to Wanda’s granddaughter but it set the scene and we were really upbeat about it all. The crowds came in and all of a sudden we were swamped with customers. Yes, this works, I thought! To cut a long story short, we did amazingly well. In fact, it was one of the best markets we had ever done despite the fact that others around us didn’t seem to fare as well. Here’s one little concept from the book that did amazing things for me after using it just for one day. This one comes from The Power. Rhonda mentioned that you need to talk about what you love, not what you don’t love. Every time you talk about what you don’t love, you are creating negative thoughts and you will therefore create negative events. So I decided to use this one at a particularly negative event in my life a few weeks ago. I was notified that my sister had been rushed to hospital in a pretty bad state. I had a days notice to fly interstate, get to the hospital and then somehow figure out how to get into my sisters apartment where I would be staying while I was there. At that point, I figured I needed something motivational…I really needed to stay positive. So I listened to The Power. I had downloaded the audio version some time back but had never really listened to it fully. It was that night as I was listening that I heard her say that you have to talk about what you love and not what you don’t love. So I did just that. This was what I did for most of the day. Sometimes I would forget but as soon as I remembered again, I would continue on as best as I could. So that afternoon when I got into Brisbane airport, I started to look for the airport train to take me into the city. Just at the point, Wanda (who had decided to come up as well to provide support and to visit her own family) told me that her son would drive me to the hospital. Hello, I wasn’t expecting that to happen. Wanda’s son lives in the totally opposite direction so it hadn’t entered my mind that he would give me a lift. So immediately, apart from being extremely thankful, I thought, hey this stuff actually works! After visiting my sister (and by the way, thankfully she is much better now), I realized that she didn’t have the key (remember that she was rushed to hospital) and was in no state to even know where the key was. I was lucky to get a conversation out of her at all. So at that point, I figured I would get out my iPad and check out some hotels in the area. Just as I thought that, my sister asked me if I could ring her best friend on her behalf. I did that, and lo and behold her friend tells me that she has a key to my sisters apartment but not only that, she said she would come to the hospital pick me up and take me there. Bingo!.. all my logistical problems had been solved, without any effort on my part. It all came together beautifully. So my advice to you, would be to try this out. See if you can in fact, talk about what you love all day and see if it makes a difference. This also means not talking about what you don’t love. So just for today, don’t watch the news, don’t get into conversations that are negative and don’t start negative conversations with yourself. If you can get the concept into your head that your thoughts create your life then you will see how important it is to change them. And just to help a couple of lucky readers on the way to achieving a great life of abundance by using these methods, we are going to give away two packs of Rhonda Byrne’s best books – The Magic and The Power. If you would like to enter, please leave a comment below. We will randomly draw out the 2 winners on Christmas Day. The only requirement is that you must be in a country that Amazon sends products to as we will be sending the products directly from Amazon. Merry Christmas, happy holidays, and a prosperous New Year! Merry Christmas to you too Joe! What a terrific inspiration you are! I’m going to try thinking about things I love tomorrow — can’t wait! “I love my bed, it’s sooo comfy and cozy”. Interesting that you don’t listen to the news…I know a few people that suggest this…possibly because it is generally bad but also because it keeps them focused on what they are doing. I have tried this a few times and always feel like I am missing out or a bit isolated. It’s also hard to miss the news at times if you ever watch a bit of TV or browse the internet everyday. I can definitely see the advantages of going on an information diet though. Yeah, it is hard to stop watching but once you get into a habit of it, you never want to watch it ever again. When I see the news start on a channel that I might be watching I rush for the remote to change it to something more positive. Although there isn’t much positive stuff on tv these days which is a shame. Every now and then I find myself getting caught up in watching something on the news and then I realise what I am doing and know that I don’t need to watch this stuff. Its always the same, death, mayhem and misery. Sure its out there and we are all aware of that but is that all that we need to see. It certainly seems to be all the news bringers can find to report on. So I make a conscious effort to switch off. Thank you for a very timely reminder. I often ‘catch’ myself engaging in negative self-talk. I LOVE that you bring this up! At least you ‘catch’ yourself Mark. Most people don’t and the negative talk goes on forever. Recognizing that you have negative talk to begin with is a huge step. Me and Wanda stop each other now when one or the other starts talking negatively. It’s a terrible habit that we have gotten into in this society. Paula,thank you very much for this great blog. I have been a follower of the Secret but as you say sometimes it is not so easy to be positive when there is so much negativity around. I have found over the years that like you Paula keep with the positivity and the good thing happen. Merry Christmas to you both and keep up the good work. It can be a real struggle trying to stay positive and sometimes I will find myself drifting off into negatively. It’s amazing really how easily the mind can take over. But I have found lately that the more I follow The Magic, the less I do this. I am able to more quickly nip it in the bud and get back to being positive. Wow! Thanks for this post! Been feeling very down today about my lack of success and have always known it’s a result of my thoughts and low self-esteem. Judy, you need to listen to Les Brown. I have been watching and listening to him over the past few days on YouTube and he is a great motivator. He was labelled as educable mentally retarded as a child and went on to great things. I’m going to give that a try and only focus and talk about what I love! I’ll let yall know how it works out for me. Id love to be entered in this giveaway as these books sound like something I definitely need. LOL, I love your comments Cathy. Hi girls, thank you so much for this post! I didn’t even know that these books existed until now. I bought The Secret when it first came out (the DVD) and have watched it many times. It’s actually under my seat right now as my hubby and I are in our camper travelling with all of our belongings to WA (we left Qld about 6 weeks ago). I know that the secret works – I’ve experienced it many times and although I don’t always keep my thoughts where they should be, I now recognise the synchronicity when it happens and it happens often for both my negative thoughts as well as my positive ones! Google has made things difficult this year – it’s had it’s impact on me but I’m adapting my approach and getting on with it as well as adapting my lifestyle at the same time. If you like The Secret, you will love her other books. They are amazing. Where are you at the moment? Obviously you are taking your time getting to WA so getting to see a lot of the sights. Thanks for this inspiration. It now dawn on me that I really need to work on my thought pattern, in preparation for the new year. Once again thanks and merry Christmas. I have to work at keeping a positive frame of mind because i have a tendency to let negative thoughts sneak in. But it is so worthwhile working at being positive. I am really feeling the effects of spending the time doing exercises in The Magic. Early in the year we were really on track with positive thinking but we got busy, you know how it is and stopped concentrating on being as positive as we should have been. I am so glad we are back doing them. It does make a profound difference in your life. 1. Thank you mom for supporting me through college. 2. Thank you John for always making me laugh. In other words, you focus on the positives in someone and not the negatives. She says that by just doing this you can see relationships miraculously change. Thank you for providing such a warm and uplifting message. And Merry Christmas to you and yours. Thanks Robert – hope you have a lovely Christmas too!! It never fails to amaze me how sometimes things just work out! Staying positive definitely helps. It may not reduce the problem but it certainly increases our chances of dealing with it. Merry Christmas to you ladies. I hope you have a great holiday season and that 2013 brings more than you could possibly hope for! That is so true Dee. Nothing seems insurmountable when you have a positive mindset. Merry Christmas and and a very Happy and Prosperous New Year. The moral of your story is: think positive, stay positive, act positive and things will turn out, you got it, POSITIVE. I guess that’s it in a nutshell CY. Thank you for sharing with us this lovely post. Its important that we have to stay positive all the time in our lifes. I will do my best to think positively in order to change my life. I must admit that most of the time I don’t realise that I am quite negative in thoughts that is why I not successful in what I want to pursue. I must change my mindset for the better. You know something I am always looking forward to your newsletters. I really enjoy it. Anyway, Merry Christmas & A Happy & Prosperous New Year for 2013 to both of you. I think that most of us are the same Elaine. We don’t see that our thoughts are negative but if we went back through the day we would realise that we focus more on the negative than the positive. It just becomes a habit. And thank you for your kind thoughts by the way. Hope you have a Merry Xmas and an outstanding New Year. Glad we could help a little bit Kathy. I don’t watch the news either. All that negativity is truly toxic. And as you say, if something really major happens, you’ll hear about it anyway. You’ve hit the nail on the head Cat. Most of us don’t even realise how negative we actually are. We think we are being factual or telling it like it is and although that may be the truth, it is still focusing on the negative. I like what you said about watching the news. I have to admit I am an avid viewer of the news programs but taking on board what you have said I guess I really should try and wean myself off them. I read the Secret book too and felt like you that it didn´t go into anywhere enough details, but still loved it anyway. Happy Christmas to you both and lets hope you and the rest of us can have a prosperous New Year in spite of Google. The best way to wean yourself off the news is to start by not watching after 8pm at night or at least a couple of hours before you go to bed. The thoughts that you have in your head before you go to bed should be positive and not filled with death and destruction. Merry Christmas to you both and your wonderful families! Your post was like a fresh slap in the face! I have really needed one for quite some time now! I’ve always considered myself to be a positive upbeat kind of person but when I really stop to watch myself or listen to my self-talk I realize that I am far from being positive anything. No wonder why I’m not making the kind of progress I’ve been hoping to make. All I seem to see lately are obstacles and barriers. All I ssem to say to myself is how much I don’t look forward to doing what I know must get done. I purchased the book, The Secret, and have watched the movie. I enjoyed it as much as I would enjoy any good movie or program but never even considered applying any lessons learned. Your post has opened me to look further into this “Change your thoughts” idea. I have everything to gain by giving it a try. Thanks for sharing your best with us and once again… Merry Christmas. That’s why I love this ‘talk about what you love’ concept as it breaks you out of the habit of the negative talk. We all need to get into a habit of positive talk so even if we don’t quite believe the positive talk at the start it doesnt really matter because our main goal is to stop the negative stuff. Another thing you can try is to write up a list of 10 things that are positive about a particular situation that you are not looking forward to. So if you hate Christmas shopping for instance then write up a list of 10 positive things about Christmas shopping. 1. I love that my local mall has every type of present I could ever hope to find so I can shop all in the one place. 2. I love how there is always plenty of parking at my local mall. 3. I love how I can conveniently shop 24 hours a day. 4. I love how I already know exactly what to buy Bob for Christmas. I’m such a news junkie that I don’t think I could give up watching it completely. I might try to pace myself and see if less drama makes me feel better. Lots of life changing drama and disappointment going on in my life right now. I am going to try to love something today. Thanks for all that you do for us. I mentioned to someone further up in the comments that are good way to start weaning yourself off the news is to stop watching a couple of hours before you go to bed. It prevents you from processing all that negativity while you sleep. Your goal should be to see something positive before you go to bed…YouTube is good for this. A mentor of mine used to say “It’s not about the event; it’s about how you FEEL about the event.” Rhonda’s stuff is good, but it all comes from Abraham-Hicks. Esther Hicks’ YouTube videos are astonishing, moving, uplifting – really worth seeking out (the channel is AbrahamHicks). Esther appeared in the first version of the Secret, in fact it’s her voice-over you hear through most of it. Yes definitely Isobel. We could have 10 people in a room and tell them the same thing and each one would have a different reaction. It’s our choice how we want to react to things. I agree about Abraham/Hicks, I have quite a few of their books and love them. Thank you for a very inspirational post. I started rereading the Secret last night, coincidentally. Glad to hear your sister is doing well. Thanks Terese. Glad you are reading The Secret. I think it should be required reading for everyone on this planet. I’m with you on the news thing – I’ve not watched the news or read a newspaper for over seven years now, and I don’t miss it one bit. I actually started following the Global Awesomeness Report on Facebook (https://www.facebook.com/GlobalAwesomenessReport?ref=ts&fref=ts) purely because they only ever report on inspirational things and good news. Nice one Mark. I just checked our the Facebook page and got hooked reading the posts. Just liked it so I can read more later. Thank you for posting this, I am going to write a note & tape it where I will see it, so I will remember to do this. I have a son who has Autism & Mild Mental Retardation. He is starting college next month, in addition to his job. I find I am more positive and encouraging to him than myself. I’m proud of how far he has come and how determined he is. I need to work on that for myself. I hope you both have a very Merry Christmas. I think we are all a little like that Valisa. We happily encourage or praise other people but we don’t do it to ourselves. It’s usually the opposite as we put ourselves down and beat ourselves up over trivial things. We need to love ourselves more. Thanks for the great offer and for the “case study” (lol) of how to implement it. I have read both books and have been a big fan of Rhonda Byrne ever since I first watched “The Secret”. Merry Christmas and thanks Again. I’ve been looking out for the audio version as well. I would have thought she would have done one by now. I purchased your Amazon Affiliate book and am now on the right track to online success. Thank you for your support, emails and books as I build my online businesses. I would also like to wish you & everyone here a Merry Christmas and great New Year! I just took a look at your home page Alan and love the ‘introduction’ article you wrote for that page. It’s very readable and very personal. Great job!! What a wonderful giveaway. Books like these can really make a huge difference in the way we approach life. It’s so important to look through eyes of positivity. Just like Cat said above; negativity is toxic! A Happy and Positive 2013 for everybody!!! Exactly Silvia. Happiness doesn’t come from external things or from other people for that matter. Happiness comes from within. So many people say things like ‘I will be happy when I get married’ or ‘I will be happy when the kids leave home’, or ‘I will be happy when I win a million dollars’. The only time you will be truly happy is to be happy regardless of any external thing, person or event. Easier said than done of course but that is the goal for me at least. I’ve been reading about the Law of Attraction and the Power of Intention. I’m trying to put my attention on what I love today. I’m in Mexico for the winter and I love it here but it will be a nice challenge. As in: I love how the computer connection is very good sometimes. Or… I love the people across the street who are burning their garbage. Ummmm plastic. LOL, it can be difficult sometimes to find things that you love when there are things going on that aren’t so great. Being grateful is so so important. That is the basis of The Magic. It basically gets you into a habit of always being grateful. Pick me! I want to win. Long time follower of you botgh! I use to believe the whole positive thinking concept was just lying to yourself, but if you can see the difference between your world and the world as a whole, positive thinking becomes a powerful tool. It’s always inspiring to hear someone else’s experience where their inner world has had such a noticeable effect on the outer world. Thanks for sharing! Aren’t we humans funny creatures? We quite happily accept negative thinking and settle into a depressed state because of thoughts about things in the past that we cannot change or about things in the future that haven’t happened. But we discredit positive thoughts that can make us feel better and uplifted as lying to ourselves, I know where you are coming from, I have been in that position. I think most of us sceptical types go through this sort of thing Mark. We cannot readily accept that there is so much power in positive thinking and being grateful for things because our negative thoughts are so powerful. But with a little bit of practice I have changed my world around and supercharged it with gratefulness and love and what a difference it has made. Just a few days ago it dawned on my how negative my thoughts are and how I need to change this, but not really sure how to. I’m the type of person who gets down on myself very easily and I know that has affected my work greatly. Thanks for introducting these books. Oh Tiffany, its so easy to be hard on ourselves. As you can see in my comment to Mark I was dogged by negative thoughts about some things for quite some time. There are situations that I have found it so hard to be positive about and I tended to beat myself up about things – could I have done this differently, why did that happen, why am I such a bad person. But I have realised that beating yourself up is a nowhere place to be. It is so counter productive to a happy life. Now I practice accepting and dismissing negative thoughts, being grateful for everything that has happened to me and is happening now and being upbeat and positive. And you know what – it works. When something isn’t quite what I would like it to be I write down 10 things to be grateful for about the situation. Sometimes its hard to find 10 things but I keep at it until its done. I love it because once I have shown gratitude and been thankful I can put the issue to rest. I have not read the news for several years and haven’t watched the news on TV for about 4 years. Sometimes I turn it on for the weather report, though. I have been having negative thoughts lately, and reading your post makes me determined to change my thoughts NOW. How blessed I am to have a computer so that I can have the privilege of viewing your posts. That’s beautiful Sharon. I love how you are using gratitude here. We forget to be grateful about things and we take everything for granted. It makes the world a dull and lifeless planet. Thank you for the reminder. I love your story and how that positive love worked out for you. Thanks for all you do. Glad we could help Linda. It’s refreshing to hear others say things like they don’t watch the news although I must admit since I moved interstate 6 months ago I have been watching it, I guess at first to catch up with what goes on here but now it’s becoming habitual and even worse than that I started leaving it on for those dreary, sad, manipulating shows that follow immediately that are the biggest scaremongerers around. Starting tonight it’s off totally and dinner will be more enjoyable not having watched it, I don’t eat in front of it but it’s in the background. I’m glad your sister is on the mend and that your self talk helped so much with the situation. I want to start a physical business and I’ve been iffy of late so time to get in and brush up on my daily self talk so thanks for that. I know what you mean about those ‘dreary, sad, manipulating’ shows. If you look closely there really aren’t many positive uplifting shows on tv at all these days. I used to watch shows like Cops and similar reality shows. They are the worst – I gave up on them a number of years ago now. When The Secret first came out, I devoured it and all the related books that soon followed. Something was speaking to me and stirring up some new feelings and hopes. But then, all at once it all felt so “Polyanna” and fluffy. So easily explained and so impossible to live. Empty. Gimmicky. So I am grateful that your post caught my eye and I took the time to read it through. There are important lessons to be learned, and these books are a good starting point. And your way of taking just one piece and really working on it is possibly the key that I was missing. I appreciate you sharing your experience and giving me the gentle push I needed! Merry Christmas! You know what Mary, I too was sceptical and felt just like you did – so much Pollyanna and fluff. But I have persevered and worked through those negative feelings and it works. Everyday we follow the daily gratitude tasks and once I got over feeling a little hokey it just became part of my daily routine. I practice giving gratitude for everything both past and present and look for the positive ways to work through things. I have a family matter that brings a lot of negativity into my thoughts and I really have to work hard to quieten them. And when they become too much I write down what I am grateful for in the situation. I also listen to Eckhart Tolle so I am on the right path to feeling good about myself and my situation. I can only reiterate that I am truly grateful to Rhonda Byrne for the Magic and the Power, and consider them to both be excellent books. Wishing you a merry Christmas and a happy and prosperous new year. This is a very timely post indeed for me and probably many others as well. As somebody who has lost all of my traffic since end of October (and thanks for your quick reply Paula to my email), I have been a bit down in the dumps about it all as I have never used black hat tactics. But this post reminds me that I do it because I love it although getting a bit back financially was certainly a boon! A plan to help change your thinking is an awesome idea. Hope you both have a safe and happy Christmas and New Year. I have lost my way a bit – my traffic went from 250-450 a day to 30-40. I know that my main weakness is that I don’t have strong back links. I have been told by an SEO “expert” that I would never rank for my keywords again so hesitate to spend hours and hours guest blogging etc if it is all going to be to no avail! Paula thinks that it is probably the URL that was hit so I don’t know if it is worth putting any effort in anymore, undecided about tossing it in altogether or starting all over again with another blog. The stupid thing is my Home page is a PR4 and many others are 1-3! So how can I keep my PR ratings but lose all my traffic? Wow, that is a drop! I’m sure you worked very hard to get that traffic, I’m so sorry about the drop. I actually try not to look much anymore because I don’t want to be negative about any losses, that way I can just keep plugging along in hopes that things will swing back again. Is your domain name eatingplansforweightloss.info? How can you really tell what is EMD; very scary! PR 4 is great! Sorry to hear about the loss of traffic Jan. You must have been hit by the Exact Match Domain (EMD) update, although many think that it had more to do with EMD’s than Google is letting on. Thanks Paula – that seems to be the problem, which begs the question is it worth putting in anymore time on this site or do I start all over again? It’s so difficult to say Jan because Google are not very forthcoming about what is really going on. It may be your domain name that has cause the issue but if there is something else going on that Google aren’t telling us then how do we proceed? Like Victoria says above, how do we really know what an EMD is in the eyes of Google? You might want to read some of the articles here to give you some clarification. Thanks Victoria and Paula – I am just leaving things at the moment. I know my brain will decide what to do about it eventually and maybe once we hear more news I will be able to make a decision. Thanks for the link Paula I will check it out. Thank you for the interesting article. I would like to challenge your thinking on the statement you wrote – quoted below. If you think thoughts like that and then express them, you are indeed going to get more of what you are thinking about. Try not to even have thoughts like that, and if they come discard them. Instead think of it all as an opportunity and as you said be in a state of gratitude and thankfulness for all that comes into your life. Instead of thinking as you did that Google was making things more difficult I had the thought “Thank you for this opportunity” to go in a new direction. Tackle new challenges and be much more than I ever was before.” This is what I thought and you get what you think about and I did. My site went away and I started a new business and my income has doubled and I am happier as I am now doing what I really wanted to do all along. This really works but you can’t just play at it, you need to live authentically and not pick and choose. It is all good. And real growth and abundance comes when you live in gratitude for EVERYTHING that appears in your life. There are no mistakes in this universe. Understand that you get what you are not what you want. And what you are comes from your beliefs which are reflected in your actions. And yes, we are actually grateful that our sites were hit by the Google update. It did force us to move into other things which we should have done earlier. Paula that’s such a wonderful story. It’s amazing how good things come our way when we’re in a very happy and loving mood. Some call it the law of attraction. Nonetheless its powerful. I recently watched The Secret and decided to employ those ideas to an issue and got a reasonable outcome (my ex communicated with me). Have a very Merry Christmas and of course a Happy New Year! Excellent David. Glad to see that it has helped you in such a positive way. Hi Wanda & Paula, thank you so much for this post. I really needed to hear this message. With everything that has been happening in the U.S. news lately, I find that it is definitely affecting my attitude. I plan on starting my morning tomorrow with positive thoughts and focus on love. Thanks so much for the reminder and inspiring story! Excellent Caroline. If you start your day off in a positive frame of mind it can make a massive difference to how the day eventually unfolds. Yes Caroline there has certainly been some nasty things happening in the States lately, and its hard not to get caught up in it. We are all very sad about what happened at the school. Such a tragedy. But we mustn’t dwell on the negatives, accept them, mourn them and move on, it’s too easy to get caught up in a downward spiral. Keeping upbeat and positive about things and sending loving thoughts out into the universe helps us to cope and move on and hopefully the world psyche will one day change so that there is no longer misery and heartache around us. So beginning the day in a positive frame of mind and showing gratitude for everything we have is certainly a great way to start out. You’ve just made me cry! I don’t know exactly why, but a few tears just burst out of my eyes. Perhaps because I was just looking for a way to change the negative things in my life and this article was in synchronicity with my soul’s searching and agitation. I have to print this article out and pin it to my board above my desk and read it every morning before I start working! It’s such an inspiration for me, especially that this comes in this particular moment of my life, when a lot of things seem to come to a closure and sometimes I cannot find the positive in them. I won’t get in details here, because it’s personal, but strangely enough, I feel that sometimes you just have to hit the bottom before you can go up. This story just made my day – and who knows, maybe it’s a life changer! Thank you so much for writing this and I’d love to be entered the Christmas Giveaway! I wish you Merry Christmas and all the good things may happen to you in this New Year! That is so true Andrea – hitting rock bottom can be the most positive thing that can happen in a person’s life. It often leads to completely new experiences and a whole new beginning. The only thing I can suggest to you is to take each issue in your life that is causing you grief and write 10 positives about them. You can always find 10 positives about any situation if you look deeply enough. Also, start creating a gratitude journal. Both Wanda and I do this every morning before we start work. We have a diary application on our iPads so we sit down and each of us writes 10 things that we are grateful for each and every day. You really need to start focusing on the good in your life more than you focus on the bad in your life. That isn’t always easy I know especially when you are going through particularly bad issues but it really is the only way out of it. You have to really watch your thoughts constantly and find a better thought each time. After a while, when you do this consistently you start to get into a habit of thinking more positive thoughts than negative thoughts. Just think of this as the turning point for you. Think positive thoughts and start loving everything around you and you will start to see things change for you. Great article and way to be spreading positive vibes. A lot of negativity spreading these days. You are awesome. Thank you so much Joshua. I totally agree with you that there is so much negativity about these days. And that’s why we need to ever mindful of our thoughts and actions to help us maintain a positive attitude. Whether I win these or not, I definitely think they’re worth buying and reading for a more prosperous 2013. Merry Christmas everyone! Our thoughts and words do indeed have a powerful impact in our lives. So many people are completely unaware of what they think and then wonder why their lives are going the way it is. I enjoyed the Secret as well but believed it did leave out some critical info. I am looking forward to reading the 2 new books that Rhonda had written. I think you’ve hit on the critical concept there Justin – people just aren’t aware of their thoughts. We don’t really control those thoughts much at all and that is why we have the problems we have. Paula,Wanda and everyone who has posted something on here. I have already posted but I felt I had to say something else. I wish to thank you all as I have been a bit lost recently and reading everything over this past few days and put me back on track. I am fairly new to this blogging and web site business so sometimes do not fully understand what is being discussed, but I do find it very helpful to read. I think I need to go and re-look at my book “The Secret” and also watch the DVD again. Once again thank you all for the inspiration you are giving me. Definitely re-watch The Secret. I actually spend about an hour or so a day watching related stuff on Youtube. It just keeps me motivated. Paula, I would love to know what YouTube channels you watch for inspiration. I loved the secret but watching short video clips first thing in the morning would be fantastic. Once you find one video there are plenty of related ones as well. I have now finished reading The Secret and need to watch the DVD again. I feel a lot more motivated than I have done for quite some time. This is really amazing. I’m going to try it out and see if it works for me. Let us know how you go Ann. Thank you for providing such a warm and uplifting message. Merry Christmas to you and your family. Merry Christmas to you too Kathleen. Hope it’s a good one!! Hi there. I look forward to your Affiliate Blog Online articles and would love to receive one of the books. I try to have an attitude of gratitude for everything that goes on in my life. For those really awful experiences, if you can just learn one thing from them, they are not wasted. Have a wonderful Christmas and a blessed New Year. Love it Stephanie. You said that beautifully. Hi Guys, Thanks, this is exactly what I needed to read at this point in time, over the last couple of months every time I turned around something else was going wrong, this is what I needed to hear to get back on track, thanks heaps. Wishing you both a great xmas and a happy new year. Watch this video Cheryl. It’s a really good motivational pick-me-up. This is absolutely inspiring. I actually learned the similar idea from the law of attraction. It says you attract whatever in your mind no matter it’s positive or negative. Merry Christmas and wish you all the best in 2013. 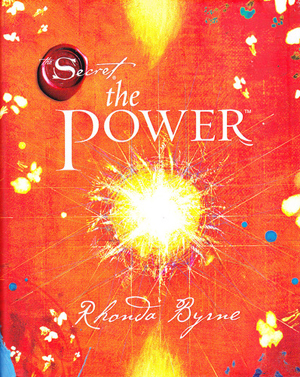 Rhonda’s books are pretty much all based on the law of attraction. The first book she read on the subject was The Sc ience of Getting Rich which is available freely on the net. Great tale of the power of how your thoughts and actions control your own reality. I hve read The Secret and own the film. I think it addresses some universal truths that are contained in many other books. I loved oyur story about visiting your sister. I am going to use the “I love” technique. And I just started! Thanks for a very inspirational, practical post. What a nice giveaway. I love to read books, hell i might even give it away as a present :). Anyways, happy holidays everyone! The Magic is more about gratitude and provides a 30 day plan. I love it. Both books are excellent so it’s difficult to recommend one over the other but if you had to choose I would go with The Magic. But if you are going to get both anyway, then I would suggest reading The Power first. I know that the secret works,I’ve experienced it many times and although I don’t always keep my thoughts where they should be, I now recognize the synchronicity when it happens and it happens often for both my negative thoughts as well as my positive ones! I can not wait for the Polish version to give to friends. Thank you to you both this year has been a hard year and you have helped me to stay positive. Glad we could help Jessica.